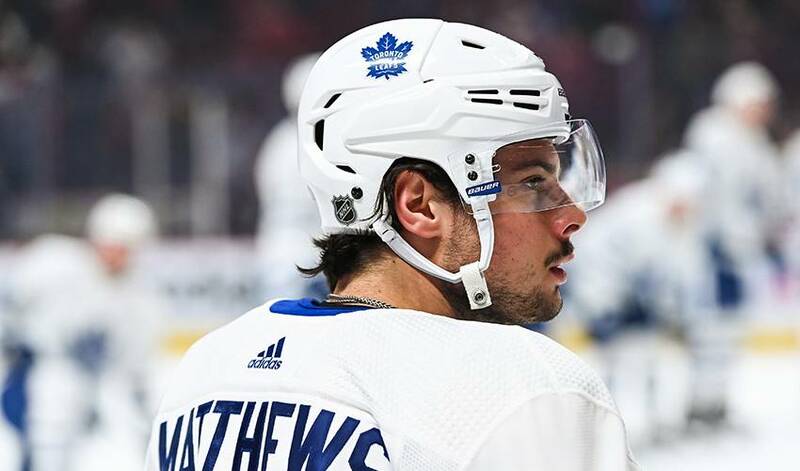 The way in which Matthews dealt with the injury six years ago, one that sent him to the sidelines for nearly three months, earned top marks from everyone involved with USA Hockey’s National Team Development Program (NTDP). In just his second game with the U-17 NTDP team, Matthews broke his femur after a knee-on-knee collision on Sept. 14, 2013, an injury that required surgery for the California-born, Arizona-raised centre. Matthews returned to the lineup December 6, 2013, and recorded 12 goals and 33 points in 24 games. Later that season, he posted 12 goals and 17 points in 20 games for the U-18 NTDP. Not bad for a player who didn’t exactly have all eyes on him when he joined the NTDP. All that changed the moment coaching staff, his teammates and the competition saw what Matthews was capable of. Just how long did it take for NTDP brass to realize they had a superstar talent in their midst? In his second season with the NTDP, Matthews finished first in league scoring with 117 points (55 goals, 62 assists), eclipsing the record of 102 points set in 2006 by Patrick Kane. He’s carried that offensive arsenal into an NHL career that’s already yielded a Calder Memorial Trophy as the league’s top rookie in 2017, and three seasons of 30-plus goals, including 40 tallies in his first campaign. Monaghan credits both Matthews and his parents, Brian and Ema, for his unselfish nature. “His parents are just wonderful people. When he was done here, his dad did coffee mugs for all the staff with their names on it as a way of saying thank you. That’s the type of people they are as a family. They give back and they are thankful for their blessings.